A background investigation of an individual or an organization is the act of examining the previous records. It can be checking of criminal records, financial records, credit records, and educational or employment verification. Background checks are frequently performed by the proprietor before hiring a new candidate. The basic intention behind background check is to ensure the protection of the corporation or the other employees. The background check can be made through a government or nongovernment agency which is also possible in both online and offline ways. The online search is faster and more preferred over offline search. These agencies charge a genuine fee but can be expensive if asked for deeper information. 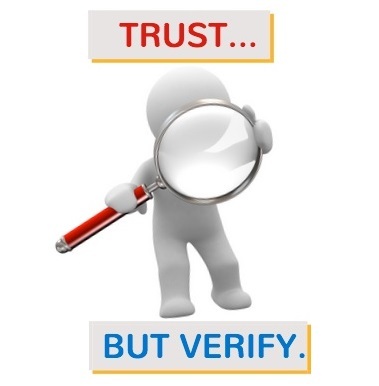 Improves Hiring Quality: Background check is very beneficial for the employers as they can judge the candidate by knowing its past mistakes and behavior. Moreover, it discards the candidates who try to hide something and eventually improves the quality of the hiring process. Identity check: A country can ensure its safety by making an identity or address verification. It will help in knowing that the person claimed to be is same or not. It will create a threat to the terrorists and money launderers and should be made compulsory. Educational and Employment gap: There are a large number of people who make false claims about their job experience and degrees and wanted to earn by wrong means. So a background check of their educational and employment history can reduce the risk of bad hiring. Reduce workplace threat: It is the employer’s duty to ensure the safety of their employees and a good hiring of the candidates can make this possible. The fraud employees can harm the corporation as well as the other employees. Background check allows the employer knowing if an applicant poses a threat to the corporation or not. Safety for landlords: By checking the criminal history, the landlords can ensure their safety before signing an agreement with the occupants. Before hiring nannies: Parents are responsible for the well-being of their children and they should conduct a background investigation before hiring a nanny. Financial information: A financial or credit check is very important as by knowing the financial history of the person, the corporation will come to know whether the person is fraud or not. Finally, it will reduce the risk posed to the business by the frauds under financial strain. The benefits of the background check investigation are countless and held in almost every country with their own laws and regulations.